Connect Your Patients to Your Practice. 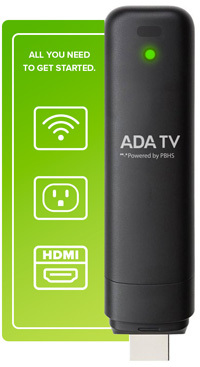 A tiny high tech computer stick connects to your Wi-Fi and transforms your TV into a dental education, entertainment and marketing system. Promote your practice with treatment highlights and digital marketing signage. Stream news, sports, finance and entertainment to keep your patients engaged. Educate patients in your waiting room and exam rooms with ADA Toothflix patient videos and 3D animations. Showcase real patient testimonials and integrate posts from your practice Facebook page. Customize the system with your own practice videos, office tour, and images.